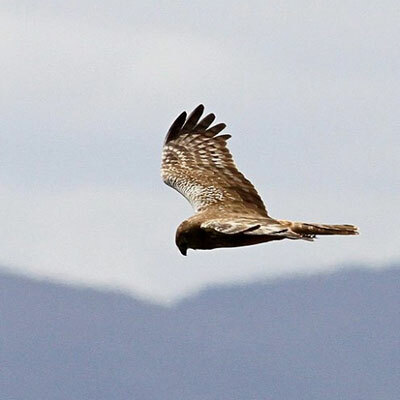 Early this year, some of our ABI partners launched the “Targeted Species Project”. And they’re asking birders and conservationists to get involved. The Overberg Crane Group, Nuwejaars Wetlands Special Management Area and the Overberg Renosterveld Conservation Trust joined forces with Birdlife SA and Birdlasser to launch the project. 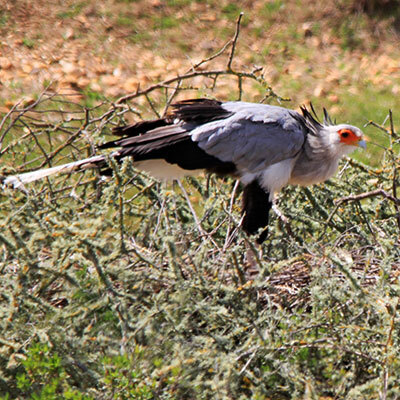 It’s being funded by the Tygerberg Bird Club. 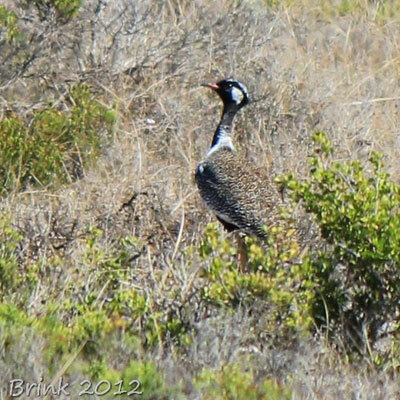 Birdlife SA has recognised that the Agulhas Plain is an Important Bird Area (IBA), with 26 threatened bird species. These species need to be ‘targeted’. 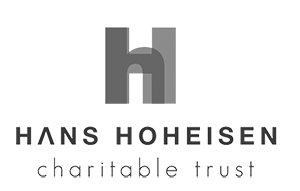 The aim of this project is therefore to build up a threatened species database in the Overberg which can be used to analyse trends concerning population demography, habitat preference, distribution, etc. 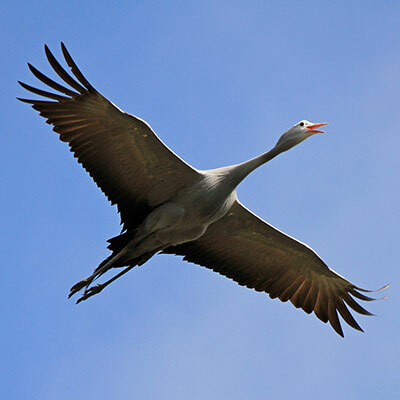 The database will be stored by the Overberg Crane Group, who can then use the information and share it with relevant partners, to therefore hopefully ensure more protection of these threatened species. Through the collaboration, Birdlasser has created a challenge for the Overberg. When you join, you act as a citizen scientist and help improve the data pool. 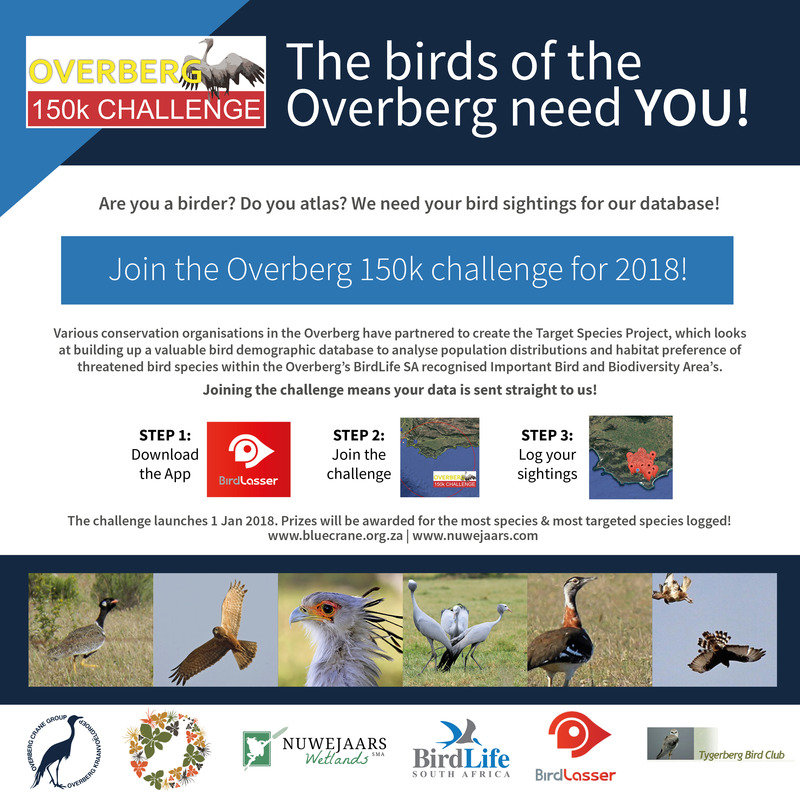 So download Birdlasser (a FREE app), select the threatened species project under ‘Causes’ and then join the Overberg 150km Challenge under ‘Play’. Here you will be able to enter the exact GPS coordinates of your sightings, as well as any information pertaining the birds. Which birds must I look out for? Prizes will be given for the highest species counts over the challenge area, and also the highest number of target species sighted within the challenge area. The fun will carry on for the whole of 2018.